Nautical flea markets, historic events, festivals, regattas, sports events, and more! FLORIDA KEYS – The Florida Keys & Key West provide year-round entertainment for visitors, from festivals focusing on the area’s colorful history, artistic culture and eccentric ambiance to events celebrating the Keys’ underwater paradise and culinary offerings. Jan. 3: Orange Bowl Swim Classic. Key Largo. Some of the best college swimmers in the country, and perhaps future Olympians, compete each year at Jacobs Aquatic Center, mile marker (MM) 99.6 oceanside, in a free-to-attend event that is part of the celebration surrounding the annual Orange Bowl college football game in Miami. 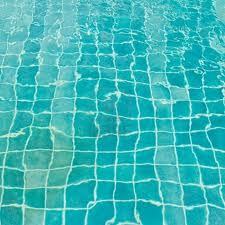 Visit www.jacobsaquaticcenter.org or call 305-453-7946. Jan. 9-18: Uncorked … the Key Largo and Islamorada Food & Wine Festival. Key Largo and Islamorada. Enjoy a multisensory experience as Key Largo and Islamorada’s culinary experts team up to present more than 30 tasty food, wine and sprits events. Savor the flavors of the Keys in 10 days of culinary events, cooking demonstrations, themed wine dinners, food and wine pairing classes, art and wine shows, gourmet chocolate-crafting classes for kids and the festival finale, “A Grand Tasting.” Visit www.floridakeysuncorked.com or call 305-394-3736. Jan. 9-19: 32nd Annual Key West Literary Seminar. Key West. The seminar’s 2014 topic, “The Dark Side,” explores the mystery, crime and literary thriller genres. The seminar offers lectures, panel discussions, readings and receptions featuring some of contemporary literature’s leading writers. The 2014 schedule includes two independent sessions, Jan. 9-12 and Jan 16-19, and writers’ workshops Jan. 12-16. Visit www.kwls.org or call 1-888-293-9291. Jan. 10-11: Inaugural Florida Keys Celtic Festival. Marathon. Some of America’s most celebrated Celtic musical masters are to be featured at the inaugural event. The festival will also feature Celtic merchandise, food and beverage booths, and children’s activities. Visit www.celticheritageproductions.com/keys.htm. Jan. 10-11: Brew On the Bay. Key Largo. Presented by the Rotary Club of Key Largo, the craft beer festival includes a home brew competition and more than 100 craft beers from around the world featured in an unlimited tasting with food, music and entertainment along the waterfront. Visit www.keylargobrewonthebay.com. Jan. 11: No Name Race. Big Pine & the Lower Keys. Join a 5k walk and run that benefits the Domestic Abuse Shelter of the Florida Keys. The race begins at 8 a.m., covers 3.1 miles and is based at the Old Wooden Bridge Guest Cottages & Marina on Big Pine Key. Call 305-743-5452 for more information. Jan. 17-18: 54th Annual Historic House Tours. Key West. Presented by the Old Island Restoration Foundation, the house and garden tours offer a rare opportunity to see inside some of Key West’s magnificent, charming and tropical residences that reflect the varied tastes and originality of their owners. Additional tours are scheduled for Feb. 14-15 and March 14-15. Visit www.oirf.org or call 305-294-9501. Jan. 18: Art Under the Oaks. Islamorada. This show at the San Pedro Church features arts and crafts in dozens of unique mediums as well as food vendors, live music and raffles from 9 a.m. to 4 p.m. Visit http://sanpedroparish.org/art-under-the-oaks-2/ or call 305-360-8556. Jan. 18-19: Florida Keys Seafood Festival. Key West. This family-oriented feast features fresh local Keys seafood, drinks, marine-related crafts, youth activities and live music. The two-day free-admission event is held at Bayview Park from 11 a.m. to 8 p.m. Saturday and 11 a.m. to 5.p.m. Sunday. Visit www.fkcfa.org or http://monroe.ifas.ufl.edu. Jan. 18-19: Big Pine Key Nautical Flea Market. Big Pine & the Lower Keys. All things nautical are to be displayed and sold at the free-admission event that also includes live music, food and beverages and raffles. The seafaring sale takes place on the grounds of the Lower Keys Chamber of Commerce, MM 31 oceanside. Visit www.lowerkeyschamber.com or call 305-872-2411. Jan. 19: Key West Half Marathon and 5k Run. Key West. Recognized by Runners World magazine as one of the 10 great half-marathons of the winter season, the race is expected to attract as many as 3,000 participants in 2014. The 13.1-mile course includes Old Town Key West and the scenic waterfront. Visit www.keywesthalfmarathon.com or call 305-240-0727. 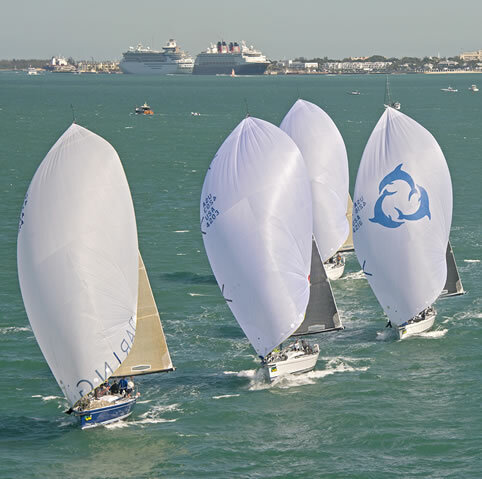 Jan. 19-24: Quantum Key West Race Week 2014. Key West. Elite racing yacht crews from around the world compete for class championships in one of the most prestigious regattas on the international sailing circuit. Now in its 27th year, the event offers high-level competition and five full racing days. Visit www.premiere-racing.com or call 781-639-9545. Jan. 22-26: Key West Food and Wine Festival. Key West. Top chefs and restaurateurs showcase their culinary creativity and the Keys’ indigenous cuisine in a tasty schedule of events for food lovers. Highlights include the lively Duval “Uncorked,” food-related adventures, intriguing seminars, an outdoor artisan wine market and a “Save the Turtles” grand tasting. Visit www.keywestfoodandwinefestival.com or call 800-474-4319. Jan. 25-26: 29th Annual Key West Craft Show. Key West. More than 100 juried artisans and crafters gather to display their talents at this popular outdoor festival on lower Whitehead Street in historic Old Town Key West. Visit http://keywestartcenter.com/craft.html or call 305-294-1243. Jan. 25-26: Key Largo Stone Crab & Seafood Festival. Key Largo. Full of fresh conch, local stone crab and other seafood, entertainment and fun for the entire family, the festival includes cooking demonstrations, eating and costume contests, a kids' play area, arts and crafts vendors, music and more. Visit www.keylargoseafoodfestival.com or call305-451-4502. Jan. 26: 20th Annual Key West Master Chefs Classic. Key West. Local restaurants vie for top honors in three categories: appetizers, entrees and desserts. Attendees sample the culinary treats while judges pick the winners. The show is held from 4-7 p.m. at the Westin Key West Resort & Marina. Visit www.masterchefsclassic.com. Jan. 27 – Feb 2: Key West Classic Regatta. Key West. The regatta is to feature classic sailing vessels in multiple races as well as parties, music, storytelling, and nautical fun in the sun. Historic tall ships, modern wooden and replica vessels and aficionados alike are welcome. Visit www.keywestclassicregatta.com or call 305-509-1771. Feb. 7-9: Dive into History. Islamorada. Presented by the Florida Keys History of Diving Museum, this quarterly series features three-day family friendly events commemorating diving and its heritage. Each is to feature elements such as film screenings, receptions, contests, children’s activities and more. Future events are set for May 23-25 and Aug. 22-24. Visit www.divingmuseum.org. Feb. 7-9: Civil War Heritage Days. Key West.Colorful Civil War re-enactments and tours of Key West's historic Civil War–era Fort Zachary Taylor highlight the journey into the island’s past. Visit www.floridastateparks.org/forttaylor/ and click “Events” or call 305-292-6850. Feb. 8-9: 20th Annual Pigeon Key Art Festival. Marathon. Artists and craftspeople are to exhibit their work at Marathon Community Park, MM 49 oceanside. The event also features live music and food. Attendees can use their ticket stubs toward a tour of historic Pigeon Key, a tiny island where Florida Keys Over-Sea Railroad workers lived in the early 1900s. Visit www.pigeonkey.net or call 305-509-0345. Feb. 22-23: Old Island Days Art Festival. Key West. The 49th annual juried outdoor fine art festival features oil paintings, watercolors, sculpture, photography and other offerings by artists from around the United States and beyond. The event takes place on lower Whitehead Street in historic Old Town. Visit http://keywestartcenter.com/festival.html or call 304-294-1243. Feb. 23 – March 2: 30th Annual Winter Star Party. Big Pine & the Lower Keys. Approximately 600 astronomers from around the world gather to view southern constellations, comets and stars in the Lower Keys’ clear night skies — virtually the only place in the continental U.S. where they can be viewed. Lectures, programs and workshops round out the event. Visit www.scas.org/winterstarparty.htm. Feb. 28: Garden Walk 2014. Key Largo. This unique self-guided tour showcases the beautiful private garden properties in the Upper Keys. The event also is to include a private garden tea party with live music, artisans, plant sales, original art, refreshments and more. Visit www.gardenclubupperkeys.org/gardenwalk.html or call 305-393-2976. Feb. 28-March 1: Sombrero Beach Run. Marathon. A comprehensive race format includes a 15k challenge, 10k run and 5k walk/run, all set for 8 a.m. at Sombrero Beach. Runners from around the Keys, country and world participate in the weekend event organized by the Southernmost Runners Club. A kickoff is set for Friday night, Feb. 28, with music, awards, raffles, prizes, food and entertainment. Visit www.sombrerobeachrun.com. March TBA: Keystock Music Festival.Big Pine & the Lower Keys. Crowds are expected to gather at Lazy Lakes RV Resort, MM 19.8 oceanside, for a daylong event featuring several musical performances. Keystock is sponsored by Lazy Lakes, Homes for Vets Inc., Southernmost Homes and Howard Livingston. Contact Lazy Lakes at 305-745-1079. March 1: Conch Shell Blowing Contest. Key West. An island tradition for more than 50 years, this unique contest celebrates the historic importance of conch in the Keys and features contestants in several age categories attempting to make “music” with fluted conch shells. Visit www.oirf.org or call 305-294-9501. March 1: 38th Annual Marathon House & Garden Tour. Marathon. Tour beautiful homes and extraordinary gardens in the Marathon area that reflect Keys living. Each home is to be adorned with floral arrangements created by Marathon Garden Club members. Other attractions include an art show at the club, MM 50 bayside. Visit www.marathongardenclub.org or call 305-743-4971. March 8-9: The Original Marathon Seafood Festival. Marathon. Gourmet delicacies from the waters of the Florida Keys, live music, a kids’ play area and an array of vendors highlight this annual weekend event that generally attracts more than 20,000 seafood lovers and families to Marathon Community Park, MM 49 oceanside. Visit www.marathonseafoodfestival.com/. March 22:Woofstock Music Fair. Islamorada. A day of peace, paws and music comes alive as MarrVelous Pet Rescues and Adoptions hosts its fourth annual free family fun event at Islamorada's Founders Park, MM 87. The “fur out” festival typically features local rescue groups, food, drinks, vendors, contests and demonstrations. Leashed well-behaved dogs are welcome. Visit www.keyswoofstock.com. April 5-6: Florida Keys Island Fest. Islamorada. The annual event features music, art, food and fun. Island Fest hosts a notable art show with 100 artists and crafters from around the state, great live music and a "Taste of the Islands" competition where the best Upper Keys restaurants compete for coveted awards. Visit www.islamoradachamber.com or call 305-664-4503. April 14: Taste of Key West. Key West. Scores of area restaurants present mouthwatering samples of their cuisine to benefit AIDS Help Inc. The culinary celebration takes place at the Truman Waterfront overlooking Key West Harbor. Visit www.aidshelp.cc/taste.html or call 305-296-6196. April 18-27: Conch Republic Independence Celebration. Key West. Parades, bed races, parties and a wacky “drag race” commemorate the founding of the Conch Republic April 23, 1982, in response to a U.S. Border Patrol roadblock that halted traffic in and out of the Florida Keys. Visit www.conchrepublic.com or call 305-296-0213. April 20-27: Key Largo Conch Republic Days. Key Largo. This festival celebrates the Florida Keys’ independence from the mainland. Attractions include daily events at Key Largo restaurants, drink and food specials, contests and more. Visit www.keylargoconchrepublicdays.com. May 1-4: Humphrey Bogart Film Festival. Key Largo. Celebrating the life and films of the legendary actor, the festival is the only event of its kind backed by the Bogart Estate. Events are to include screenings of Bogie’s classics and other memorable films centered around the theme of romance, a display of Bogart memorabilia, a gala ball, tours on the restored African Queen and a panel discussion with the star’s son, Stephen Bogart. Visit www.bogartfilmfestival.com. May 1-4: Key West Paddleboard Classic. Key West. Presented by Lazy Dog Adventure Tours, the event includes a 12-mile Elite Race around the island and a 4-mile open race. Other events include a kick-off registration party, paddleboard clinics and races for the kids. Visit www.keywestpaddleboardclassic.com or call 305-295-9898. May 7-11: Key West Songwriter’s Festival. Key West. The annual showcase of musical magic features a large roster of America’s foremost performing songwriters. Dozens of concerts are staged in intimate, audience-friendly island settings. Visitwww.kwswf.com. May 11: Bay Jam. Islamorada. This music and art festival stars local and guest artists performing on the shores of Florida Bay at the ICE Amphitheater at Founders Park, MM 87. Visit www.keysice.com or call 305-395-6344. May 15-18: Key Largo’s Original Music Festival. Key Largo. Enjoy the entertainment, food and ambiance of Key Largo. Presented by the Key Largo Merchants Association, the event features on-the-water venues, unique entertainers and local musicians. Visit www.keylargosongwritersfestival.com or call 305-394-3736.